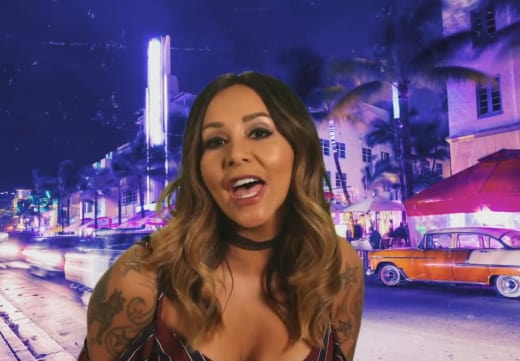 Jersey Shore: New Season Filming in Las Vegas!! 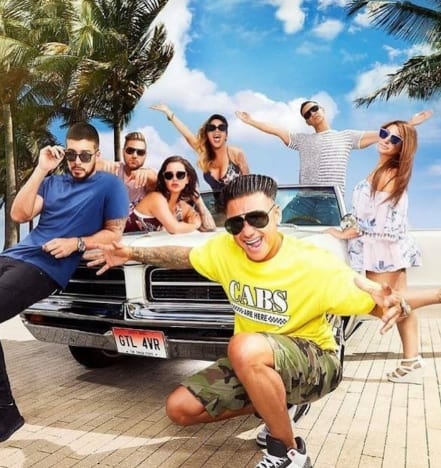 Since well before the insane Jersey Shore: Family Vacation trailer aired, fans have been eager to see their favorite disasters back on screen. And one season clearly wasn’t enough. MTV knows that. So Jersey Shore is coming back for another season — and we already know where. 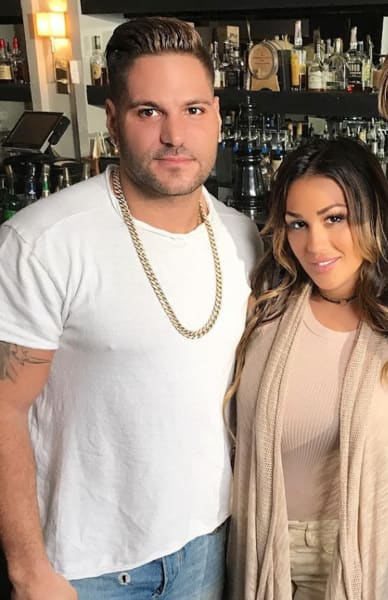 RadarOnline was able to uncover where Jersey Shore is filming its new season. And this isn’t a vacation — no matter what the show is named or where it takes place, showing up on camera is a lot of work. Fans already knew that MTV wasn’t going to drop the series, but it’s a relief to hear that there are concrete plans in place. This on-set production source continues, announcing that the cast will include more than just Snooki and JWoww. Well, we figured as much. 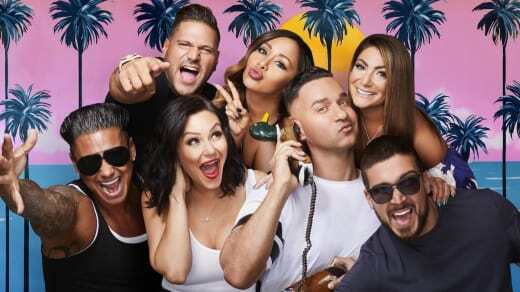 RadarOnline reports that Mike Sorrentino and “the guys” are, according to that production source, already there to film. It will take place in Las Vegas, which is a recipe for a very entertaining disaster if we’ve ever heard one. Remember, normal people go to Vegas and get a little out of control. Also, the cast will be staying in a rented mansion rather than a hotel. Mansions are great settings for all sorts of things, from fictional murder mysteries to very real and dramatic realtiy shows. Their new adventures begin in the desert. 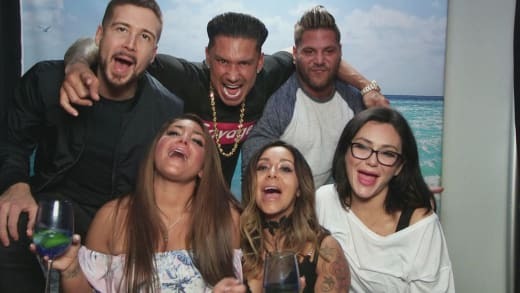 However, apparently filming on this season is scheduled to wrap up on the actual Jersey shore. Though fans have wanted Jersey Shore back on their screens for years, only in 2018 did they get their wish. It seems that they have the success of Floribama Shore to thank. That show’s ratings made it clear to the higher-ups that there is still a huge market for people who want to watch reality stars make disastrous decisions (without residing in the White House). Sammi Giancola couldn’t come back this past season because of Ronnie. So far, we have not seen any indications that this is going to change. Ronnie seems too unstable, and Sammi staying away seems like a smart move. Even so, with so many returning cast members, this really does feel like it’s the revival series that fans have yearned for and that MTV promised. It is worth noting that the original teaser trailer did not reveal where the cast would be. They may end up filming at different locations — a new one each season — all over the country. Perhaps even all over the world. For now, though, fans can look forward to watching their tanned, trashy faves tear up the town. But hey, this is Las Vegas that we’re talking about. They’re used to it. Next story Queen Elizabeth II to Meghan Markle: You Better Have a Son!